I've been meaning to get this post up for the past two days, but I have been out of commission with a bad cold. Between that, holidays, and planning for Claire's birthday party I think I have less time for blogging than when I am working full time. Does anyone else feel like that? I know exactly what you mean, I've been feeling rather rushed and short on time lately too. Sorry you had a cold, around here it feels like everyone has been sick and I fought one off the week of Christmas, not fun! I love your look back, the pink skirt and polka dot top is my favorite!! Hope that you are feeling better! Christmas is such a busy time, it's harder when you are sick too. Hope you have a very happy new year, and you feel much better! You wore a lot of cute outfit in 2014. I hope you feel better soon. 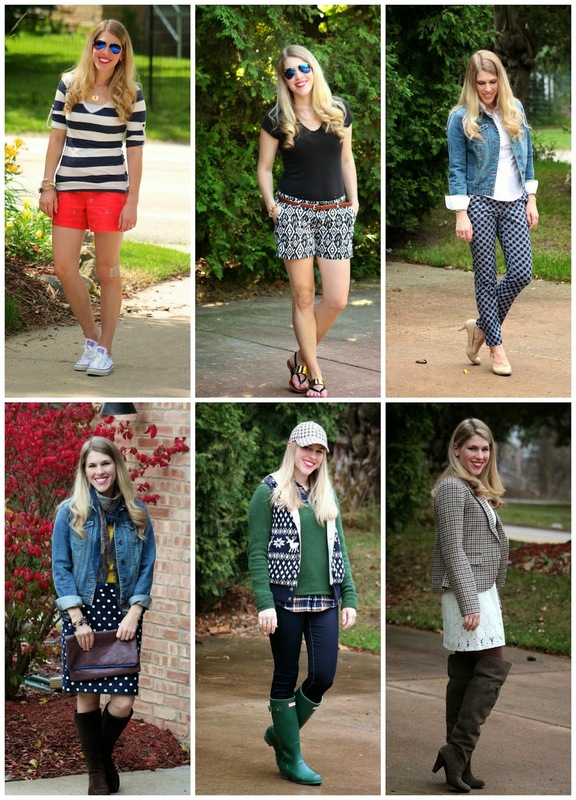 I love seeing everyone's year end outfit roundups! My favorites are January, September and November! Glad you are feeling better! Happy New Year! Great wearable looks! Looking forward to another year of fashion fun with you, Laura! Love this roundup of your favorites! I hope you are feeling better! Love all of these, but I think February is my favorite! Happy New Year! You had a great year for sure. February, May, September and December are my top favorites for sure. Thanks for so much inspiration style-wise and for your friendship in the blogging world during 2014! It's fun to see your outfits like this! I love the November look, that vest is so cute! You are truly versatile in styles! I am inspired to try many of those looks in 2015. I am having hard time deciding which is my favorite. Great recap! You have had such a great year. I truly have enjoyed getting to know you. You are so kind. Thanks for being so encouraging to me! I love that lace skirt, so that look is definitely a favorite. 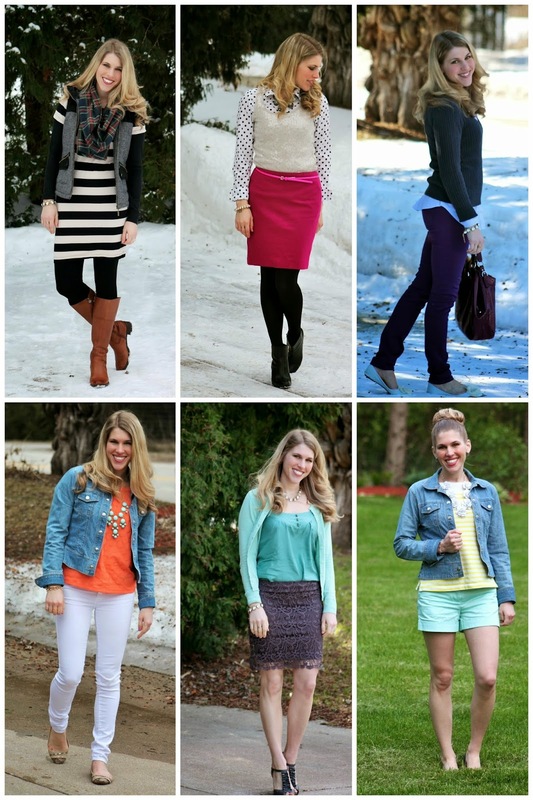 I also like your layering with the pink skirt and those blue and white pants. Sounds like you have bene busy! Hope that cold goes away ASAP! This is a great recap. I really love that January outfit and I really love the unique combination of the December outfit. I've been out sick this past week too and between that and taking care of to-do stuff while I'm on vacation, I feel like there is no time to blog! I'm with ya! January and February are my favorites!!!! You look great Laura! I absolutely love your January, March, and May favorites! I need to copy your March outfit now that I have purple pants! That striped dress from January looks amazing on you. I look forward to seeing more outfits with it now that the weather is cold again!